Among others, I’ve given presentations about Superhumans at Darefest (Antwerp, Belgium), Tech Tuesday (Utrecht, the Netherlands), the Biohacker Summit (Stockholm, Sweden), Biohacking Meetup Manilla (Philippines), Toastmasters Tokio (Japan), and University College Londen (England). At TEDx Delft I talked about personal experiments, quantified self and biohacking. Talk at Elevate Talks of Breda Photo Festival 2018. 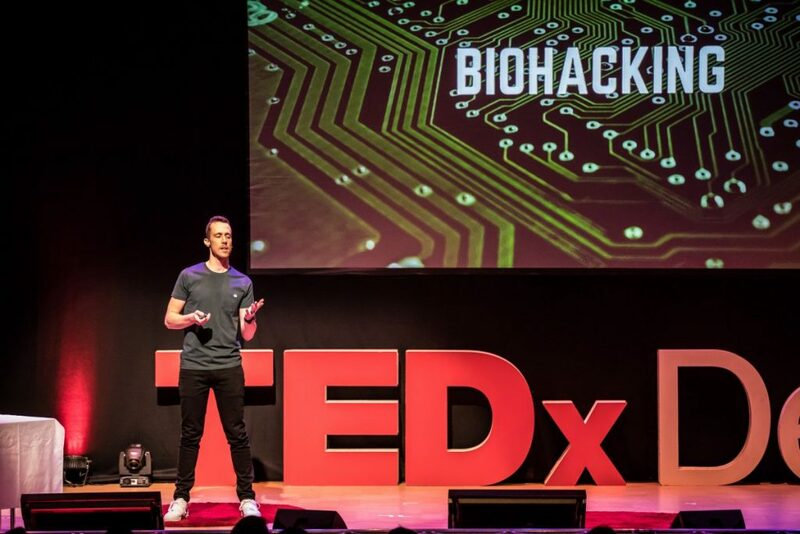 My lecture at the Biohacker Summit 2018, Stockholm. Are you interested in a keynote about the the Superhuman Era, biohacking or the influence of technology on our society? Feel free to contact me, I will respond as soon as possible.